A Roth 401(k) brings many of the benefits of a traditional employer-sponsored 401(k) retirement savings vehicle. But with a traditional 401(k), you save for retirement with pre-tax dollars and write off your contributions from your taxes. With a Roth 401(k), you contribute after-tax dollars. That means you pay taxes now on your contributions but not when you take withdrawals from your account in retirement. Not all employees have access to Roth 401(k) plans, though, but those who do may be well served to enroll in one. What Is a Roth 401(k) and How Does It Work? With a Roth 401(k), you take after-tax dollars and put them into a retirement savings account. Your choices as to which retirement account you can invest in will depend on what your employer offers. You may decide to opt for a target-date fund, or you may build your own mix of stocks, bonds, mutual funds and money market holdings. You pay regular income taxes each year on the money you choose to contribute to your Roth 401(k). Then, when you retire, you can start taking distributions from the account. You won’t owe any tax payments on these withdrawals, because you already paid taxes on your deposits. As you might expect, this could be helpful when you reach retirement age. Not just anyone can go out and open a Roth 401(k). That’s because Roth 401(k)s are employer-sponsored retirement plans. You either have access to one or you don’t. The best way to find out if you have access to one at your job is to ask your company’s HR department. It’s pretty common for people to split their employer-sponsored savings between a traditional 401(k) and a Roth 401(k). For this reason, the IRS states annual contribution limits in the aggregate. In 2019, you can contribute up to $19,000 in either a traditional 401(k) or a Roth 401(k). If you choose to use both kinds of 401(k), the total amount you contribute across the two accounts cannot exceed $19,000. Workers 50 and over are allowed catch-up contributions of up to an extra $6,000 per year. Taking tax-free distributions in retirement is the biggest benefit of the Roth 401(k). In order to take advantage of this benefit without paying an early withdrawal penalty, though, you must be at least 59.5 years old when you begin taking distributions from your account. In addition, you must have had the Roth 401(k) for at least five years. Roth 401(k) plans also come with Required Minimum Distribution (RMD) rules. Once you hit age 70.5, you must, by law, begin taking distributions from your Roth 401(k). These competing retirement accounts are extremely similar, but they’re meant for different individuals. If you want tax savings now, go for the traditional 401(k). Those looking for tax savings in retirement should opt for the Roth 401(k). As is mentioned above, though, you don’t necessarily have to choose between a regular 401(k) and a Roth 401(k). You can split your retirement savings between the two. If you want to diversify your tax risk in retirement (since you can’t be sure exactly what your retirement income will be or how tax law will have changed by then), using both accounts may also be beneficial. In 2019, the annual contribution limit for Roth IRAs is $6,000. With contribution limits of $19,000, Roth 401(k) plans allow for contributions that are triple those of Roth IRAs. Some workers save with a regular 401(k) through their employer and then open a Roth IRA on their own. They do this to diversify their tax burden in retirement. 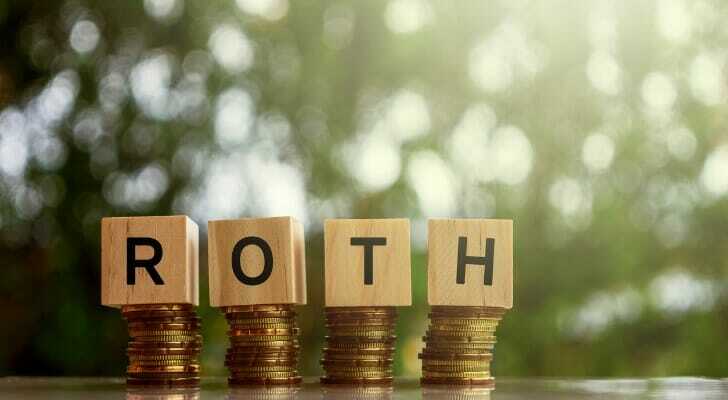 Now that Roth 401(k)s are becoming more widely available to employees, more workers are wondering how to choose between a Roth 401(k) and a Roth IRA. Well, the IRS may have chosen for you. With the Roth 401(k), there is no income limit, so anyone can contribute, no matter how rich. Roth IRAs, on the other hand, are designed with lower- and middle-income savers in mind. This year, the adjusted gross income (AGI) phase-out range for a married couple filing jointly is $193,00 to $203,000. For those filing single, the range is $122,000 to $137,000. Why a range? If your income is below the bottom of the range, you can contribute the full $6,000 to a Roth IRA. But if it’s within the range, you are subject to contribution phase-out rules, meaning that you won’t be able to contribute the full $6,000. If your income is above the top of the phase-out range, IRS rules prohibit you from contributing to a Roth IRA. 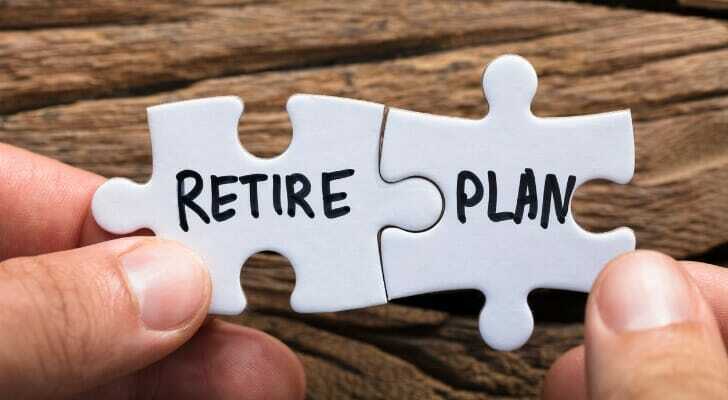 So, if your income excludes you from saving in a Roth IRA, but you still want to diversify your retirement tax risk, you can instead opt for a Roth 401(k) if your employer has this choice. If you like the sound of a Roth 401(k) but your company doesn’t provide access to one, consider taking your case to HR and asking for a Roth 401(k). The more time your savings has to grow in a Roth 401(k), the greater the benefits to you. That’s because you’ll see more tax-free earnings as your savings compound with time. Work with a financial advisor. According to industry experts, people who work with a financial advisor are twice as likely to be on track to meet their retirement goals. A matching tool like SmartAsset’s can help you find a person to work with to meet your needs. First you’ll answer a series of questions about your situation and goals. Then the program will narrow down your options from thousands of advisors to up to three fiduciary advisors who suit your specific needs. You can then read their profiles to learn more about them, interview them on the phone or in-person and choose who to work with in the future. This allows you to find a good fit while the program does much of the hard work for you. The post What Is a Roth 401(k)? appeared first on SmartAsset Blog.